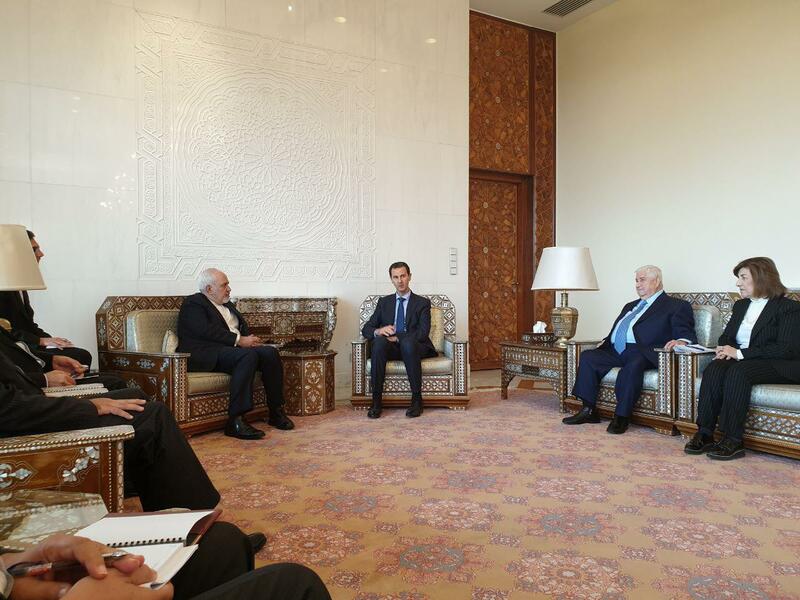 Iranian Foreign Minister Mohammad Javad Zarif, who is on an official visit to Syria, has sat for talks with Syrian President Bashar al-Assad. Following up on the agreements reached in the Iranian first vice-president’s visit to Syria was also among the main issues discussed in the meeting. Iran’s top diplomat is in Syria for high-level talks with the country’s leaders. He is set to hold talks with Syria’s prime minister and foreign minister in his one-day trip. Earlier in in the day, Zarif was welcomed at the airport by Syrian Deputy Foreign Minister Faisal Mekdad.